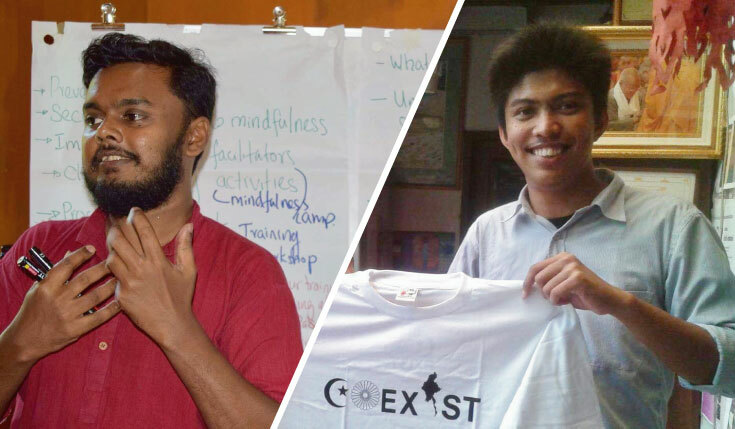 Left: Suchith Abeyewickreme, a Sri Lankan peace educator and social activist. Right: Htuu Lou Rae Den, the founder and acting director of Coexist Myanmar. 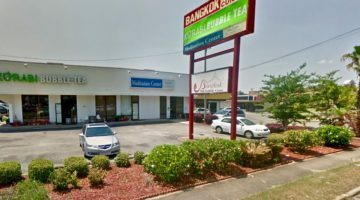 To the dismay of Buddhist around the world, extreme Islamophobia has emerged in a few predominantly Buddhist countries — most notably Myanmar (also called Burma) and Sri Lanka. In Myanmar, the Buddhist population is largely callous to genocidal abuses against fellow residents in the Rohingya Muslim ethnic group. In Sri Lanka, rumors that Muslims are sterilizing Buddhists run rampant, leading to violence. In both countries, Theravada Buddhism is the most dominant religion. Theravada is the oldest living school of Buddhism and focuses strongly on the earliest recorded teachings of the Buddha. 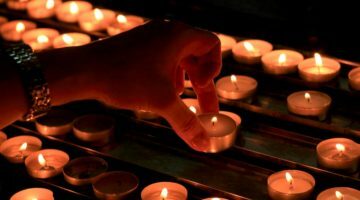 In media coverage of violence that is perpetrated or condoned by extremist Theravada Buddhists, the perspectives of moderate and progressive Theravada practitioners from countries where extremism is surging are almost invisible. To better understand their varying views, I asked six Theravada Buddhists for their thoughts on Theravada extremism. Some agreed to be identified by name, while others asked to remain anonymous. Throughout Theravada cultures, the fear that Buddhism is under attack is palpable. Part of the challenge, explains one anonymous Theravada Buddhist I spoke with, is there’s a very strong ethnic identity in Myanmar. “Unfortunately,” she says, “that has not been divorced from religion.” Abeyewickreme says religion in Theravada isn’t just something to be practiced, it is “part of a nationalistic agenda.” Today, insecurity about the fate of Buddhism remains, but extremists in Myanmar and Sri Lanka have come to see religious minorities — specifically Muslims — as the most significant threat. Extremists fear “overpopulation” by Muslims will lead to the demise of Buddhism. Another person I spoke with anonymously said that the extremists “feel threatened about losing their religion, their culture, their way of life… Extremist Buddhists are not expansionist or wanting to indoctrinate.” He says they don’t want to be outnumbered in their own country. How do we curb the radical strains of Theravada and disentangle Buddhism and ethno-nationalism? How can we abate fears of Buddhism’s imminent demise? Phyo Win Latt is a graduate student in history from Myanmar. 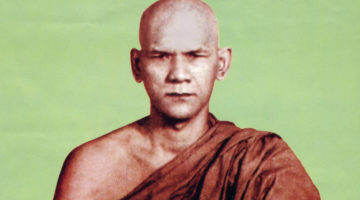 He recommends a “systematically and centrally controlled body made up of more progressive or liberal-minded Buddhist scholars” to shift Theravada back to Buddhism’s core peaceful teachings. On the other hand, Theravada Buddhism is already rigidly hierarchical, which Abeyewickreme sees as part of the problem. He feels the religion needs a more liberal, less centralized sangha. He thinks those who turn to extremism are the Buddhists who feel their voices are not heard and their concerns are not addressed within Theravada’s conservative structure. There is no engaging dialog, and the hierarchy “is almost untouchable” he says, which pushes excluded voices to rebel, coalescing around aggressive, fear-based messages. It’s also important to encourage lay practitioners to critically analyze Buddhist teachings and meaningfully apply them to current events. Traditional Theravada teachings and practices are conservative and do not emphasize critical thought. Abeyewickreme says Theravada religious teaching revolves around historical stories and the original words of the Buddha, but many lay people struggle to connect those stories to the current situation and respond with Buddhist principles. For example, the Four Noble Truths — which teach the cause of and liberation from suffering — are at the core of Buddhist teaching. Yet Abeyewickreme says he has never heard a monk meaningfully apply this teaching to contemporary political and social conflicts, even though it could be helpful to identify suffering as conflict and to point out that the root cause of conflicts are the same as the cause of suffering. As lay practitioners, we need a meaningful, dynamic, and thoughtful way to apply Theravada teachings to our contemporary lives. Unfortunately, extremists now control the most visible alternative narrative in contemporary Theravada, as Abeyewickreme points out. Theravada Buddhists need more progressive narratives that focus on love and inclusion, rather than hate and exclusion. This can, of course, come from the sangha. But it can also come from lay practitioners who are willing to speak out against intolerance — even when the source of that intolerance is within the sangha itself. If we fail to do so, the extremist elements within Theravada will only grow stronger.